The school year will consist of 36 weeks of classes held over a nine and a half month period. A student may join at any time from August through January if there is space available. The studio will be closed for major holidays and school vacations – see our studio calendar. Visiting Students: Try A Class For Free! Thinking about registering at MusicWorks Studio of Performing Arts? We would like to invite you to come join us for one free class of your choice to discover what our studio is all about! Just contact our front office (828-565-0381) to make arrangements to attend a class in your specific area of interest. We nurture a welcoming and encouraging environment that is fun for every singer, dancer, and actor! Classes may be paid for at a single class rate for the convenience of students wishing to try a class, no registration fee necessary. The rate for single classes is higher than our discounted monthly rates. Ask for single class pricing. MusicWorks reserves the right to cancel any class with insufficient registration and a full refund will be given. If a very young student is not ready to participate in a class after several visits, a refund for of tuition for any unused classes will be given. TUITION PAYMENT IS DUE AT THE FIRST CLASS OF EACH MONTH. PARENTS, PLEASE BE AWARE THAT YOU PAY FOR A FULL MONTH OF AUGUST AND THAT PAYMENT COVERS THE CLASSES THAT MEET IN THE MONTH OF AUGUST AND THE CLASSES THAT MEET IN THE MONTH OF DECEMBER. Payments may be made by check, cash, or credit card. Any account unpaid 5 days after tuition payment is due will have late charges assessed for 10% of the total monthly tuition. Any student with an overdue balance of more than 45 days will not be allowed into class until payment in full is received or payment arrangements have been made. 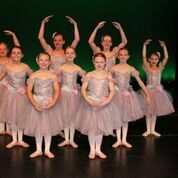 Our annual recital is tentatively scheduled for the first or second Saturdays in June, 2018 at the Bardo Performing Arts Center at Western Carolina University. Participation is optional; however, we do encourage all students to take advantage of this wonderful performing experience. If you have any concerns or questions, please don’t hesitate to talk with a staff member or a former parent or student! We also have video recordings or past productions that we can play for you to review. 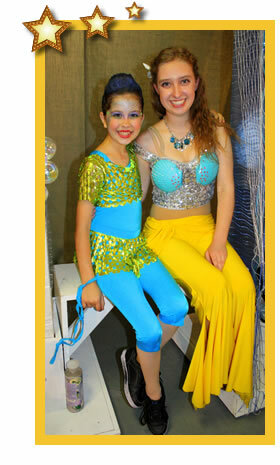 Recital sign-up and costuming will take place in February. MusicWorks will follow the determination of the Haywood County School System and will be closed when school is out due to inclement weather. If the road and weather conditions improve throughout the day, we may reverse our decision and hold classes for the day. Students will be notified only if we reverse our decision! Students and parents will be notified via email, Face Book and on the MusicWorks website by 12:00pm. If you do not receive email at your home or work place, please be sure you check FB and the website for weather-related updates. Please call the studio (828-565-0381) and the answering machine will have a recorded message that will announce early studio closings in case of inclement weather. Studio closings will be posted on our website, and when possible, you will receive an email and/or text message. In the event of multiple cancellations group make-up classes will be scheduled. No credit will be given for snow cancellations; however, students are always welcome to take make-up classes for any missed class at their regular times. 1. We request that students carefully observe our dress code outlined in this handbook. 3. Cell phones, tablets, and other technology devices must stay in the student’s dance bag or at the instructor’s station during class time. Each instructor has the authority to ask that any device be placed at his/her instruction station if a student has the device out during class time. It is the owner’s responsibility to collect the device from the instructor at dismissal time. MusicWorks is not responsible for the safety and well-being of any technology device. 4. All students are encouraged not to leave the room once class has begun. Please allow for appropriate restroom use prior to class. Very young children will be treated sensitively as the need arises. Preschool children may need a parent’s attention from time to time for various reasons including bathroom or behavior issues. Please do not leave the waiting room when very young children are in class without informing the office or having another parent responsible during your absence. We make every effort to have all children feel safe and cared for in a loving and inspiring learning environment. 6. During class if a student complains of being ill, or sustains an injury and cannot participate, the instructor will send them to the office where the parents will be notified if not on the premises. 7. Only students with a pre-existing sickness/injury are allowed to observe class. The parents must notify the office if a student is to observe class. 8. Out of town guests may request to visit at any time throughout the year. Please contact the MW office prior to the visit to receive permission for the guest to observe class. No one else is allowed to sit and watch during regular class time. Dance, music, and theater classes are educational and fun, however, an important part of class work is developing an attitude of discipline and respect for teachers and fellow students. We trust that following our classroom etiquette will provide an environment whereby classes at MusicWorks will be a pleasure for all concerned.